Unpacking Isn't So Bad with Good Word Candles. Hello friends, happy Monday! I can't believe that Mark and I have been married for 6 weeks now. Time really does go by quickly! We've been trying to get everything unpacked and cleaned and pretty looking. It's taken some time but it feels so good to say that we are almost done! I took a few photos of my new desk to share along with a new candle that makes the room smell great. 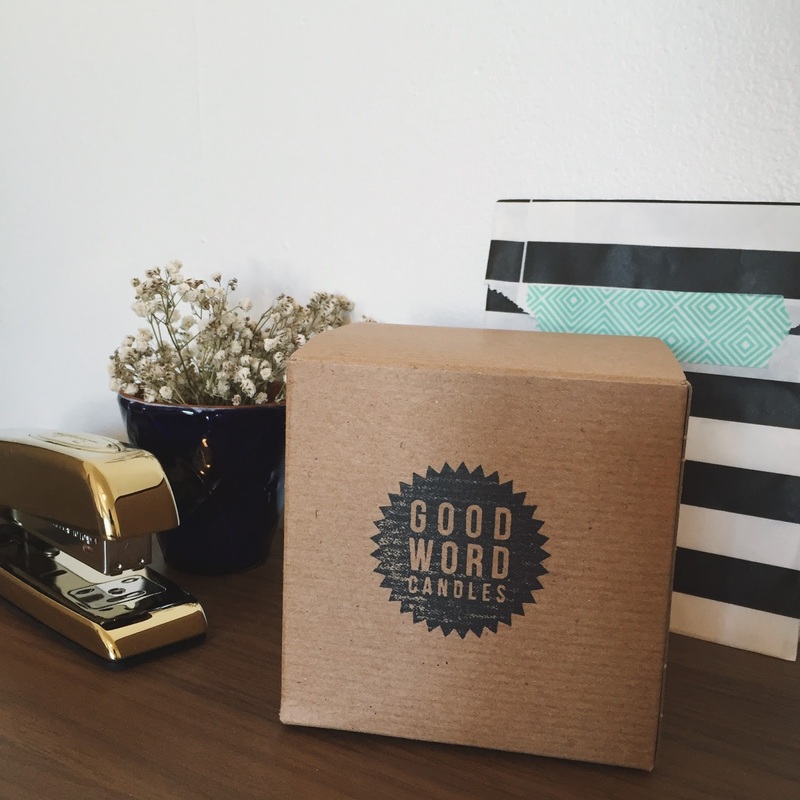 Good smells make everything a little more pleasant, like unpacking. I love Good Word Candles and their mission. 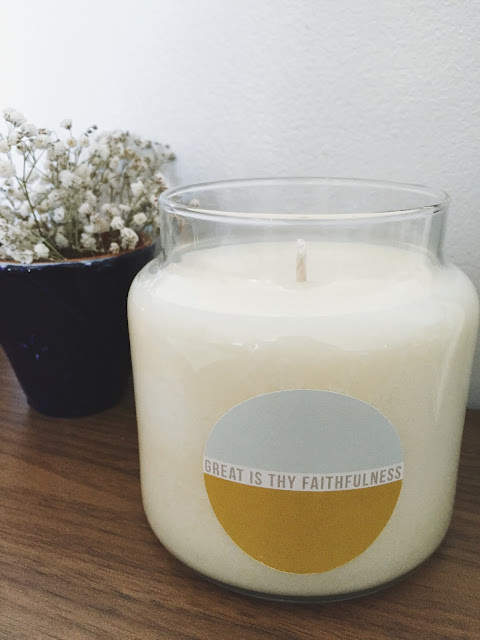 The handcrafted, soy candles smell great and have inspirational + encouraging stickers on the jar in different colors and fonts that can match a variety of styles and rooms! 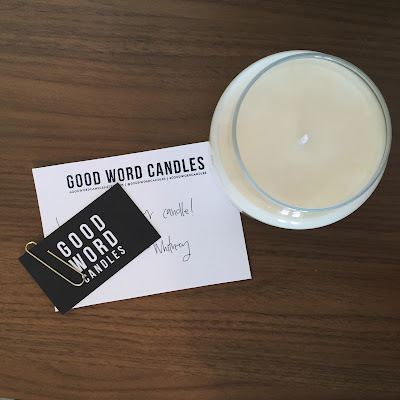 Good Word Candles are so cute and there are a variety of scents to choose from! I chose Lavender Chamomile and it makes the room smell so fresh. The description on the website says "Lavender Chamomile // infused with cedarwood, chamomile, eucalyptus, lavender, and orange natural essential oils." I love the size too! 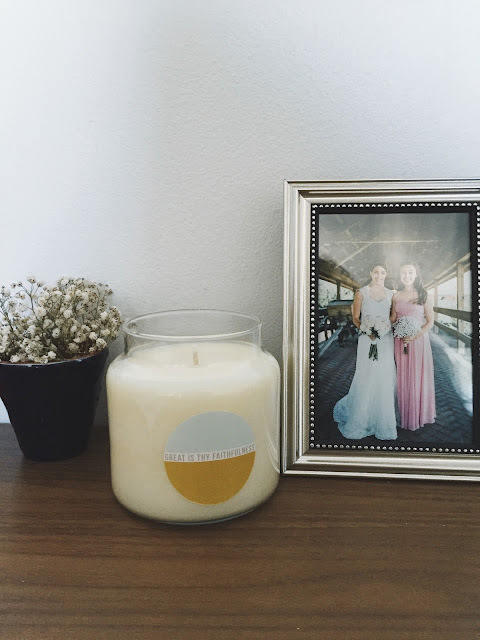 Most candles that I get are usually burned down after a few weeks but this one seems like it'll last a while. I definitely recommend trying them out (you can get a smaller tin size, too!) and even get Christmas themed ones!